Mulch Matters – So Do it Right! 23 Aug Mulch Matters – So Do it Right! Mulch can be frustrating. As a tool for nourishing your trees, or dressing up your landscape, you can’t beat it. But, as Charleston tree expert Rawson Services often sees, too much is too much. 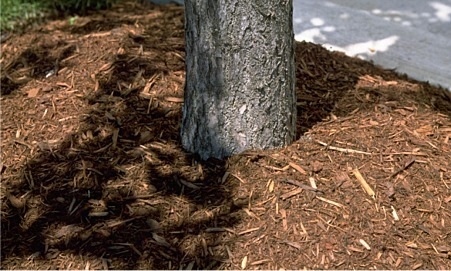 If you mulch your trees improperly, it ultimately can do more harm than good. Mulch giveth, mulch taketh away. First, look up. Your tree may be starting to resemble a Witches’ Broom. That’s a fairly strong and normal-looking base and trunk that lead up to a dead or dying canopy. Remember, trees often die from the top down. Right away, you know you have a tree problem…but what’s the cause? It might be your mulch. Two major issues are piling it too high on the root ball, and laying it too close to the trunk and hiding the root flare. If you pile mulch too high, it can intercept rain and irrigation and prevent enough water from reaching the roots in the root ball. Mulch placed too close to the base hides the root ball and confuses the roots. Roots need to grow down and outward for good nutrition and tree stability. Instead, these roots will grow upward, into the mulch. This “girdling” chokes the base and it will eventually make the base weak and the tree unstable. Girdling – and EXTREME girdling! Then again, your problem may not be improper mulching. Or, it may not be your only problem. Another big consideration is planting depth. If you know tree biology (and why would you?) you know that your tree roots do their best work pulling water and nutrients from the soil at a depth of just a few inches – not feet! 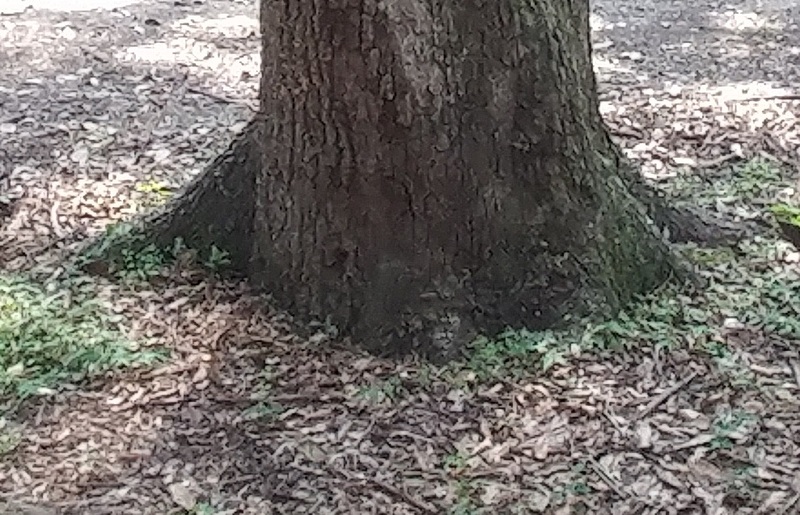 If depth is the issue, you will see no – or very little – root flare at the base of the trunk. Instead, it’s straight like a fence post. Of course, the best way to avoid these issues is to have your trees planted and maintained by a true tree professional. But if you have mulch piled too high or too close to the trunk, or if your tree is planted too deep, there is still hope – if you act fast. Your tree needs professional intervention – maybe even digging it up and elevating it – while it’s still small! And when it comes to tree pros in Charleston SC, the name to know is Rawson Services. Contact us today!